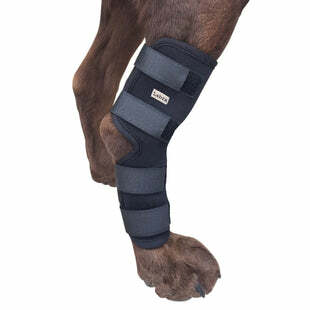 "First, let me say, I am a veterinarian and have had considerable experience with various leg braces that did not work. 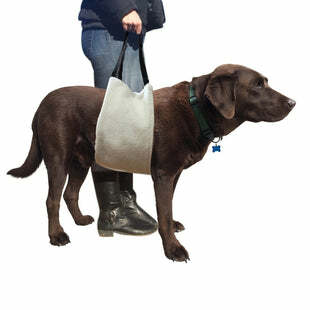 I ordered these for my own geriatric Great Dane who has considerable trouble with her hocks rolling out when she walks. These braces have given her stability and she seems more comfortable and more confident when she is moving about. She has been wearing them 24/7 w/ no slippage." Labra is committed to helping all dogs enjoy happy, active lives. My name is Noah, I am the founder and owner of Labra. We are a small business specializing in products that improve the quality of life of our best friends. Our family company was born out of necessity when my Chocolate Lab, Buddy suffered a debilitating hock joint injury. After searching unsuccessfully for days to find a brace that was supportive, yet flexible and lightweight I realized I would have to get creative. I had the first version of our Lightweight Canine Leg Brace custom made. 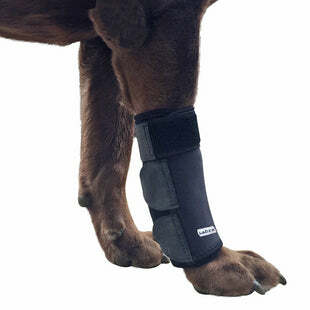 After immediately seeing outstanding results in my guy's mobility, I realized there must be other dogs out there in need of a similar product. 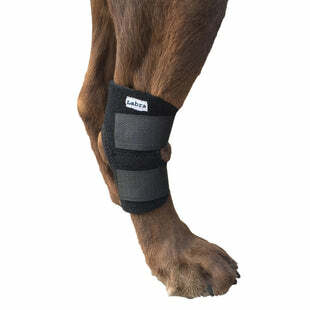 Since launching our Lightweight Canine Leg Brace, we have gone on to add many more great products for pups. I encourage you to browse our product catalog for a variety of items which have all been tested and approved by my very own best friend.